Nationality: British. Born: Salford, Lancashire, England, 9 May 1936. Education: Attended Salford Grammar School; Royal Academy of Dramatic Art, London, graduated 1955. Family: Married 1) the actress Jane Wenham, 1957 (divorced 1961), son: Simon; 2) the actress Anouk Aimée, 1970 (divorced 1978). Career: 1955—joined Birmingham Repertory Theatre: stage debut as Decius Brutus in Julius Caesar , 1956; 1958—London debut in The Party ; 1959—season with Stratford Shakespeare company; 1960—film debut in The Entertainer ; 1963—opens on Broadway in Luther ; 1965—joined National Theatre Company; formed stage and television production company Memorial Enterprises Ltd. with Michael Medwin; 1967—directed first film, Charlie Bubbles ; 1972–75—associate artistic director, Royal Court Theatre; 1976—played Hamlet in opening production of Lyttelton Theatre; 1990—in TV mini-series The Green Man . Awards: Most Promising Newcomer, British Academy, for Saturday Night and Sunday Morning , 1960; Best Actor, New York Film Critics, and Best Actor, Venice Festival, for Tom Jones , 1963; Acting Award, UK Film Critics' Circle, for Under the Volcano , 1984. Agent: International Creative Management, 388–396 Oxford Street, London W1N 9HE, England. "Talking about Acting," in Sight and Sound (London), Spring 1961. Interview in Positif (Paris), June 1969. Interviews in Photoplay (London), October 1980 and August 1982. Interview in Time Out (London), 4 November 1987. Interview in Radio Times (London), 23 May 1992. Interview in Time Out (London), 10 January 1996. Falk, Quentin, Albert Finney in Character: A Biography , London, 1992. Films Illustrated (London), October 1977. Radio Times (London), 14 July and 27 October 1990. Time Out (London), 29 August 1990. Baldinger, Scott, "Mercurial Master," in Harper's Bazaar , April 1991. 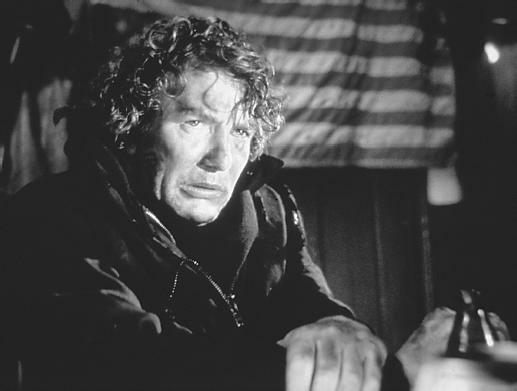 In the late 1950s and early 1960s Britain's angry young men began appearing with increasing frequency on stage and screen, and Albert Finney was the perfect actor to embody the soulful working-class loner. He himself was the son of a bookie, and his combination of charm, energy, and roguish good looks enabled him to personify the angry young man and become one of Britain's rising young talents. His first angry young man characterization came on stage in Billy Liar . But it was his casting in Karel Reisz's Saturday Night and Sunday Morning which earned him his first attention among movie-goers. Finney's Arthur Seaton is an alienated Nottingham factory worker who strikes out against his dreary working-class plight. He may defiantly declare, "Don't let the bastards grind you down," but he is destined to make no holes in the invisible wall separating the classes in England. The actor's gritty performance remains as vital and touching today as in 1960. Finney next peppered the rebellion of the angry young man with a delightful bawdiness in Tony Richardson's Tom Jones , based on the Henry Fielding novel about a young man's randy adventures in eighteenth-century England. Released in 1963, the film is more than just an entertaining, Oscar-winner. It is a landmark as a forerunner of the sexual revolution of the late 1960s. Finney's performance is crammed with moxie, and is a major star turn. If Saturday Night and Sunday Morning had made him a name among more discerning filmgoers, Tom Jones secured his reputation as a popular movie star. But Finney is a serious actor, and he chose not to exploit this fame. For the most part, he has carefully selected his screen projects. More often than not, he has given his most interesting performances as unhappy (if not deeply troubled) men whose lives are in a state of crisis. They may have attained a certain degree of material success, but their marriages have failed and their lives are characterized by boredom and indifference. He directed as well as starred in Charlie Bubbles , playing a fabulously successful but otherwise dead-to-the-world writer. In Shoot the Moon , he again is a famous writer whose marriage breaks up. In Two for the Road , he is one-half of a troubled couple who look back on their 12 years of marriage. In Under the Volcano , based on Malcolm Lowry's autobiographical novel, he is especially fine in the complex and demanding role of a self-destructive former British consul, guilt-ridden over his life, who has been abandoned by his wife and is slowly drinking himself into oblivion. Finney also has played character parts: Ebenezer Scrooge in Scrooge , Hercule Poirot in Murder on the Orient Express , and Daddy Warbucks in Annie . Other important roles came in Gumshoe , in which he gave a cleverly funny performance as a Liverpool bingo caller who finds himself playing detective in a murder case, and Miller's Crossing , cast as a mobster and political boss. In the latter stages of his career, Finney's most poignant performances have come as deluded older men whose inner repressions have not allowed them to fully develop their potential as human beings. He is the entire show in The Browning Version , a middling updating of the Terence Rattigan play, which previously had been filmed in 1951 with Michael Redgrave. Finney offers an emotionally rich performance as Andrew Crocker-Harris, professor of languages at a staid British boys school. After almost two decades on the job, he is resigning because of ill health. It quickly becomes apparent, however, that he has been forced out of his job. He is held in disdain by his wife, who has been cheating on him, and he also is unloved by his students. He has never been an inspiring, caring teacher but rather is a stuffy, efficient bureaucrat who has never learned how to communicate his love of Latin and the classics. The Browning Version is worth seeing for Finney's beautifully modulated performance, as he brings just the right amount of sadness and eloquence to Crocker-Harris. Finney is equally superb as Alfie Byrne, a friendly, middle-aged bus conductor in A Man of No Importance , set in early 1960s Dublin. Alfie, a bachelor, is obsessed with Oscar Wilde, and is intent upon mounting an amateur theatrical production of Salome . The key to the character is that he is a closeted homosexual, and has a crush on the young driver of his bus. Alfie lives in a society in which homosexuality is an "unspeakable sin." For this reason he not only has kept his sexual preference hidden but also has never dared become involved in a sexual or romantic relationship of any kind. Finney is a joy to watch, especially as he confronts his feelings and laments that his "hands are innocent of affection." His Alfie is a gentle, poetic soul who, unfortunately, was destined to be born at the wrong time and in the wrong place. With The Browning Version and A Man of No Importance , Finney has effortlessly segued his career into middle-aged character roles. One senses that some of his best screen work is ahead of him.